Harvard's yield this year is the second highest in the university's history. 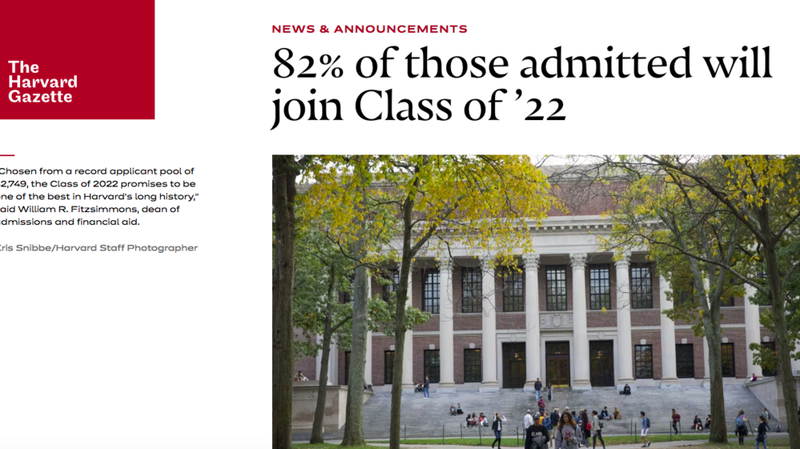 While that's great news for Harvard, it sadly means that those students patiently hoping for the best on Harvard's waitlist have very little chance of going crimson in May or later into the summer. For the most competitive universities, the waitlist has become a backup measure that's rarely resorted to because most students who are accepted to Harvard decide to enroll. In an era when students continue to apply to more and more colleges to "hedge their bets" about where they will get in and how much financial aid will be offered, colleges are responding in kind by increasing their waitlists. Adding students to the waitlist has become the answer for colleges and universities that have no clue how many students will decide to enroll. We like you, but will you actually come? We have no clue. After months of waiting, and years of preparation, a waitlist can feel like an anti-climactic mega frustration. It might feel like these colleges are holding all of the cards, but we help students to see that actually, when you are clear with your goals for college, demonstrate interest properly and in timely ways, you don't need to hedge, or play too many games, and instead can get into one of your top choice schools way before May. Get in touch to start working with us to learn how. Seth Godin, a consummate author, marketer, and creative social commentator offers his "Godin-ian" views on college rankings. Not surprisingly, that they are linear, simplistic, and forced. As the political landscape continues to evolve in the US, American and international students are considering broadening their horizons beyond US borders. Language: While it may seem obvious, it’s necessary to study in a country where the language of instruction is a language that you have already achieved native or high-level proficiency in. This is why the most popular destinations for American students is often the UK and Australia. While the native language of the country does not have to be one you speak, you should check that the language of instruction is still English (such as in Sweden). Clarity of Intended Major and Career Goals: Colleges and universities in the US usually offer students more flexibility to explore different subject areas, and even after declaring a major, some offer freedom to choose additional courses or even build your own major. Typically in other countries, students must choose a field of study even before applying. For example, in countries like the UK and Germany you apply to a specific degree program, so you must have a clear sense of purpose by Grade 12. If this sounds like you, you can research the top universities in the world by major here. Cost: The tuition of US universities is generally higher than that of other countries. Throughout Europe, tuition is subsidized by the government, and even international non-EU students enjoy generally lower tuition. Application & Entry Process Differences: The college admissions process in the US is complex and the process and factors considered in how highly selective colleges and universities make admissions decisions is rather obtuse. 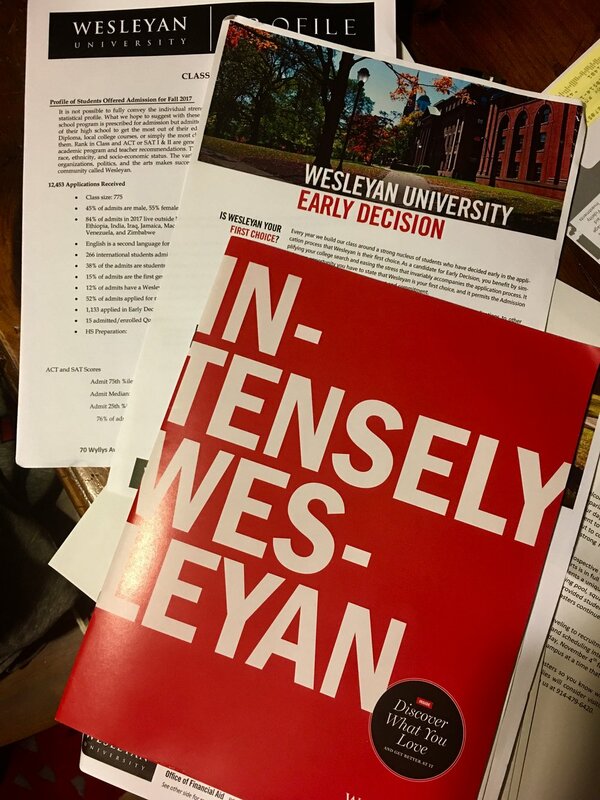 In other countries, admissions decisions are typically fairly black and white, and are based on your transcript, and if required, standardized test scores. In the UK, students must complete an application through UCAS, and different systems use different application processes, so it is important to notify your high school counselor if you are considering universities abroad to ensure you do not miss any deadlines and meet all of the necessary requirements. Finish in less time-- You can graduate from university in the UK and Europe with a Bachelor’s degree in three years, meaning one less year of tuition. Much more affordable-- The UK and Europe tuition is much more affordable, and in some countries even free- Germany and Norway don’t charge tuition, even for international students. Culture and language immersion-- If you attend a university where there are other languages spoken, you will have the opportunity to immerse yourself and expand your worldview well beyond the culture you grew up in. Increased Network and Travel Opportunities-- You will likely meet classmates and friends from all over the world. Similarly, travel opportunities to many other countries and cultures in places like Europe and Asia are also close at hand. Curious to dive deeper into the options at home and abroad? Get in touch with us to start a conversation about domestic and international university options, and how to track your course to successful college admissions. The 11th grade of high school is often regarded as the most challenging year. This is because students often significantly increase their number of college-level courses and it is the final year of year-long grades that colleges will be able to see when you apply. It is easy to get overwhelmed by everything, so I recommend that all juniors do these six things to guarantee success. #1: Take the SAT or ACT at least once before the end of your junior year. Make sure you have a calendar of all the test dates for your junior and senior year so you can see when you will have time before a test date to prepare. You do not want to be scrambling to take the SAT or the TOEFL for the first time when you should be focused on your 12th grade grades and your college applications. #2: Build meaningful relationships and connect with your teachers, especially those in your core academic subjects. In high school, as in life, it's extremely important to have mentors and role models you can go to seek advice from. In this case, these teachers will be the ones to write your recommendation letters for college (pretty important!). You should also ask them if they are willing to write you a recommendation letter before you leave for summer vacation. That way, they have plenty of warning, you are "at the front of the line," and it's possible that they may be inclined to write the letter with more time and thought over the summer holiday. I'll do a different post on how to choose recommenders in the future. #3 (For some): Take some or all of the SAT subject tests by the end of junior year *if* you are planning to apply to the most selective universities in the US. Not all universities require subject tests, but for those that do, you will need adequate preparation, and it is often best to take those tests at the end of the school year (June test date) that you are completing that class when the material is fresh in your mind. #4: Finish your junior year with really strong grades. Every year of your high school grades will count when admissions officers review your transcript, but your junior year should have a rigorous course load with a strong GPA that represents your capabilities across all subjects. #5: Plan a productive and fulfilling summer that will build on your strengths, skills, and experiences. You should not spend the entire summer studying for the SAT! Consider different options like working on college applications, essays, getting a job, an internship, travel, community service, pursuing a hobby you would like to do in college, visiting college campuses, and yes, some test prep. #6: Try to balance between stretching and challenging yourself and knowing your own limits. Don't take on more than you can handle. For college admissions, it's not how many different activities you do, but showing clear and focused passion and commitment. 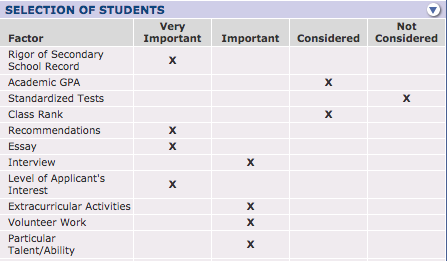 Junior year is a time when you should practice prioritizing and focusing on what you need to do to succeed. Preparing for college applications is a marathon and not a sprint, make sure to do things that are fulfilling and aligns with your long-term goals, your hard work will pay off! At the IECA conference in DC last week, I had a chance to chat with the founder of Campus Sherpa, David Patou. Campus Sherpa allows students to directly experience a college through a student with similar interests to them. I like this concept a lot, and am curious to see how the company grows. Prospective students fill out a form indicating their background and interests, where they want to visit, for how long and in what format, and students will then be matched with an appropriate "Sherpa" i.e. current students at one of the 150+ participating colleges. Students may elect to visit a school with a short trek, longer excursion, or a "summit" of a full-day shadowing a student through their classes. I also like that a Skype conversation is an option for students who can't visit campuses, but really need to get a better handle on those details about what *truly* sets this school apart from its peer institutions. And it may also prove handy for those supplemental Why Us? essay prompts. Some colleges make a real effort to engage visitors vis-a-vis their tour program. Some Admissions Offices' extremely competitive tour guide programs may ensure eager, chipper tours, but could come off as glossy or generic. 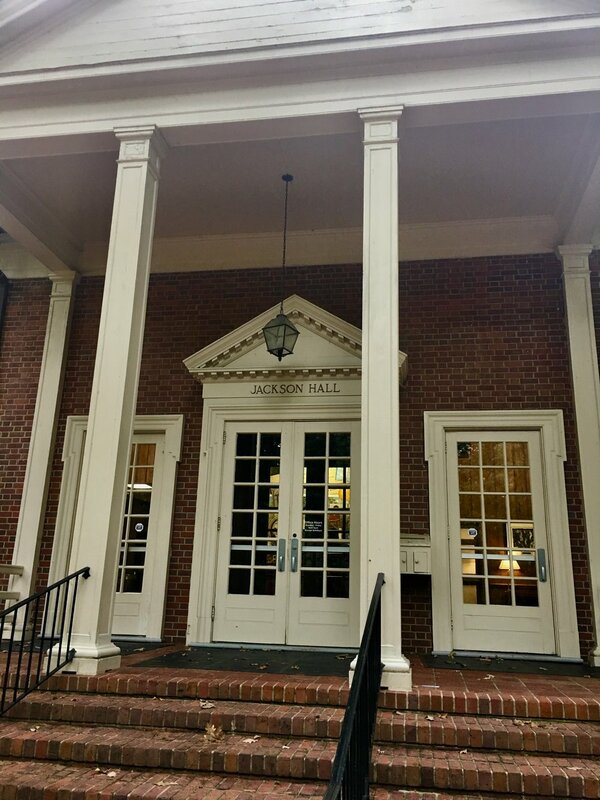 I recently visited UVA, where the tour guide program is completely independent of the Admissions Office, thereby supposedly guaranteeing impartiality. We did 'happen' to walk by Social Entrepreneurship club offering free donuts and apple cider. In the unseasonably cold afternoon, it was memorable. Oftentimes, a tour can make a HUGE difference if a student decides to apply or not. While the tour guide is not always the deciding factor, it can be significant (think weather: I didn't like Middlebury College when I visited, and may in retrospect attribute that to the horrendous, icky, wintery icy downpour during my visit). "After going to Harvard and MIT and finding hundreds of people touring with us, all of us following shouting guides around like sheep, we were looking for a better way. With Campus Sherpa, you get an insider's look at what a college or university is all about." While many colleges and universities no longer recommend or even offer interviews through the admissions process, there are some colleges that still say that it "may help" a student in the admissions process. To what extent? It depends. Admissions interviews are often distinguished as either "informative"-- it is an opportunity primarily for the student to have a conversation with a representative to better get to know the college, or "evaluative"-- the interview will be counted as a piece in the overall profile of an applicant. I recommend that for all of the schools on your list, you check out that institution on www.collegedata.com. The school profile will include reported elements of the application process that are weighted the most heavily. This is also where you can see if "Demonstrated Interest" matters or not. Smaller colleges, often liberal arts colleges, consider a variety of factors in making their ultimate determination, including "softer factors" such as the essay, demonstrated interest, and the interview. 1. You have a glowing, charismatic personality-- people flock to you like a magnet! Admissions officers want to find reasons to like applicants and say to themselves, "gosh, this person is awesome, I want to hang out with them and be their friend." If you might be memorable (for GOOD reasons!) then this alone is a great reason to interview. 2. The college HIGHLY recommends an interview, and they are offered on campus. Generally, if an admissions officer is the one conducting the interview, it will have more weight than if an alumnus conducts it. After all, they will be reading your full application, and it may help tip the scales in your favor. 3. You have something you want to explain or offer greater context from your application, and you feel that you can best communicate this in person. Was there a blip in your junior year where your grades dropped off? Is there something else you feel that you just can't fully get across on paper, or you present better in person than in writing? 1. The thought of an interview makes you catatonic. Your palms sweat, your mind races, and you start feeling dizzy. It may be time to take some public speaking classes and gain confidence in that arena. But a college interview is not the place to try it out. Friends or acquaintances have told you that you are hard to understand, and you generally don't like talking to people. That's totally fine and does not preclude you from a highly satisfying college experience. But person-to-person interviewing may not be the best way to "sell" yourself to a college. This is a 2 in 1 reason-- if you are a non-native English speaker, but your TOEFL and SAT scores are even better than your actual speaking confidence, it could be less than helpful to make admissions officers question your English abilities. In this case, the interview is all for YOU, really. If you are very busy or feel you already made up your mind about the school, an interview may be one more thing that you need to do that won't deliver high value in return during the busiest months of your life. What if you still don't know which category you fall into? Ask your family and friends. How do you prepare for interviews? Practice! Get to know the commonly asked questions, and make sure you feel comfortable answering them. Interviews also require students to do their research. If you mention you want to join the Orchestra, and they don't have one, that won't generally come off too well. Get in touch with us if you'd like to learn more about our detailed Interview preparation tips and how you can ace your college interview, and make it work in your favor. The last stop on my North Carolina college tour was visiting Duke University, home of the fighting Blue Devils, and fierce rival of my morning visit, UNC-Chapel Hill. Duke is home to 6,800 undergrads and situated on an 8,600 acre campus, there is a lot of land to go around. Located a few miles from the downtown of Durham, now a hip and artistic innovation hub that has drawn many world-famous startups and tech heavyweights. 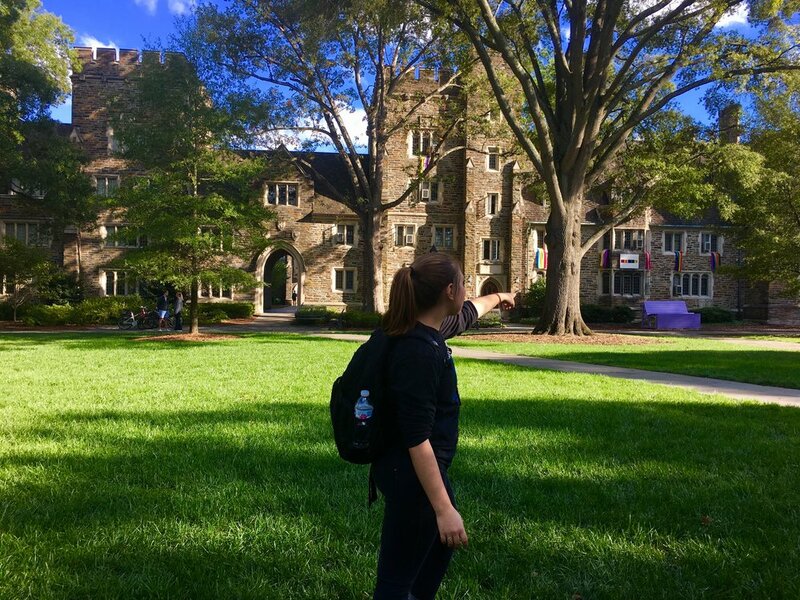 I am going to break up my visit to Duke with fun facts about the university and then a second post specifically about Duke admissions, and insights from the helpful information session led by a Duke admissions officer. First, the fun! -A 98% retention rate means that 98/100 students who come to Duke decide to stay, that is very high! Julia’s visit to UNC-Chapel Hill was a great one, thanks to a fantastic student tour guide, and a comprehensive information session. "Carolina” as they call themselves claims the title of "first public university in the country” and since then has grown by leaps and bounds. It is home to 18,500 undergraduates, making it a public mid-sized university. In spite of its large size, 78% of classes have under 40 students, and first-year seminars help acclimate students to campus. Most majors are the in College of Arts and Sciences, and most popular ones are Biology, Economics, and Psychology. Students can declare a major at any time, and in sophomore year students can apply for professional schools including business, media, and journalism. The students at Carolina “bleed baby blue” and have so much pride for their school. Most famed for their basketball team success, there are many reasons students choose Carolina. The tour guide, who was an out-of-state junior from Florida told me that she picked Carolina over another unnamed school in St. Louis because she found Carolina students to be much less competitive, and much more friendly and collaborative. -Carolina is ranked #1 in value by Kiplinger’s 13 years in a row! -The famous well on campus is the emblem for the NCAA and myth has it that if students drink from the well on the first day of classes, they will get a 4.0. The lines are very long beginning at midnight for a drink of water! -Advise students to "Bloom where you are planted” in terms of extra-curricular activities. They want to know what you are doing in that organization for extracurriculars, not that you are trying to be everything to everyone and everyone team/club/cause because that’s impossible! They would prefer to see growth, development and “roots” and “blooms” in what you have decided to stick with. -A personal statement the admissions officer liked and mentioned: anything with specific examples that stand out: such as, a student was tired of being the quiet kid through middle school, and went out and bought only Hawaiian shirts which he wore through high school. -1 Letter of recommendation is required, and they also prefer letters with specific examples, such as “This student is always bringing in relevant articles to share” or in an English class "students rush to get help from this student during peer editing sessions” to show how you stand out. The first stop in my North Carolina tour was to visit Wake Forest University, located on the outskirts of Winston-Salem, North Carolina. This highly selective university of 8,000 students moved to Winston-Salem in the 1950s, and is a bastion of scientific inquiry and rigorous liberal arts education in the rolling North Carolina hills. The main campus is located 3/4 miles from downtown Winston-Salem, while the “Wake downtown” campus in downtown Winston-Salem is primarily home to the Engineering Department and Biotech research. In September 2017, U.S. News ranked Wake Forest #27 in the country in their “Best Colleges” listings. From the same report, it was also ranked #12 in “Strong Commitment to Undergraduate Teaching” and #23 in “Best Value”. Wake Forest has an unusual approach to critiquing and evaluating applicants. This is in part because they do NOT require test scores from the SAT or ACT. As they like to say "4 years in high school means more than 4 hours on a Saturday morning.” How many students don’t submit scores? Most recently, 1/3 of enrolled students did not submit test scores in the application process. In exchange for offering “test optional” to applicants, Wake encourages students to be creative in their application. Students need to answer 7-8 short answer questions, which include questions like what podcast would you create, and ask students to create their own “Top-10 list.” The admissions officer offered that one of her favorites was “The Top Dwarfs that didn’t make it into Snow White” but she has seen other good ones like “Top 10 Things That Your Grandmother Taught You.” Interviews at Wake usually last 20-25 minutes, and are not required, but recommended. There is a separate Wake Forest application that domestic US students can use, but international students still need to use the Common App. Of course, make sure to check directly with any university’s website for each year’s updated requirements, as expectations, deadlines, and required documents often change without notice. Open Curriculum: There are only 2 requirements to graduate: that you complete 32 classes and 1 major (a major is typically 9-11 classes). That means that 2/3 of the classes remaining are open for students to select. There are General Education expectations (not requirements) that students take at least two classes from the three different disciplines of Humanities and Arts, Math and Natural science, and Social Sciences. There is no foreign language requirement, and students can use up to 2 APs for credits. Senior thesis: About 50% of students complete a senior thesis, which is required for some majors, but not others. Clubs: There are over 300 clubs on campus (but our senior ambassador told us they are “more like extended friend groups”). Much of campus life is student-driven and student-run. Arts is extremely present on campus, and there is an open environment to try new things. 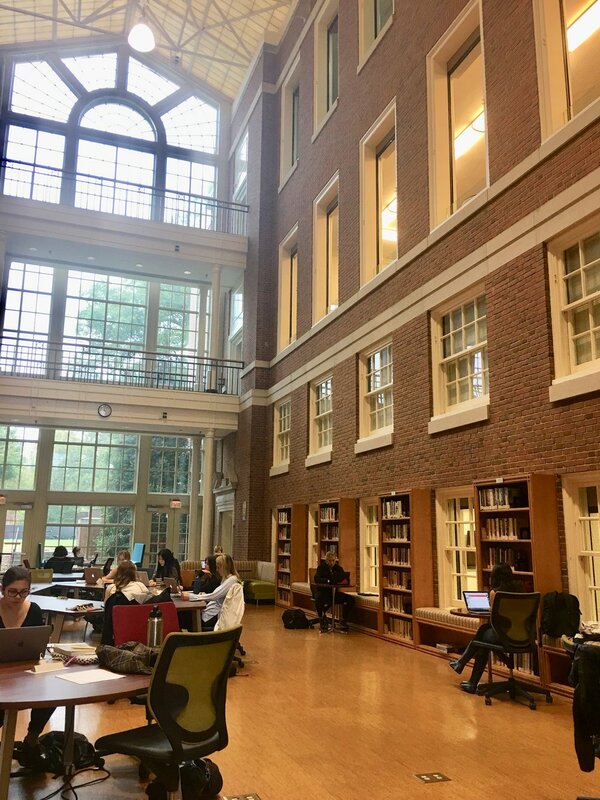 Careers: The majority of students go into consulting, finance or education even though Wesleyan does not offer majors in any of those areas, it is because the skills and education they receive are transferable! Visit the campus: If it’s within 6 hours of you, it’s a must. If the school is high on your list, you should make the effort! Always register with the Admissions Office, check if you can attend a class or do an overnight as well! Supplemental Essays: Pay special attention to ALL Supplements, NONE are optional! You must do your research so you can speak specifically about why their programs, clubs, student body, etc. are a perfect for you. Generic answers like “Boston is a great place” do not fit the bill here. Get on Mailing Lists & OPEN Emails: Respond early to recruitment mailings and fill out “request info” from admissions on college website. Always OPEN emails from Admissions offices, they can track all electronic communication! Attend College Fairs: Don’t miss a rep’s visit to your own school or in your area, ask questions and sign up for more info. The rep who covers your area will likely be one person to read your application! Email the Admissions Office: Get in touch with your rep with specific questions that you can’t find easy answers to on their website. Social Media: “Like” the college on Facebook and other channels, they know you are already on there! Make sure your own Facebook page is rated-G and presenting your best sides. Interview: Set-up an interview if a college offers it with a rep. or alumni. Send a hand-written thank you note afterward! Do not OVERDO communication by emailing the admissions office every week! You will seem desperate or overly-demanding. Parents cannot do this on behalf of students. Do not send excess paperwork that the college did not request with your application. They will find it annoying and likely not read it! Research, Research, Research! Visit college websites to REALLY get to know specific strengths and what they are proud of at their schools so you are prepared to personalize your communication with schools. Get in Touch with Us: Still not sure how to best approach colleges? Some chat with us to figure out how to take the first step & make sure you don’t wait around for them to contact you! Is to take a FREE diagnostic test of both the SAT and the ACT, and then compare your scores. That way, you can see if there is a clear winner and one test starts you off with a relatively higher baseline to work off of, or if there isn't, you can flip a coin, and choose which one to study for. Colleges view the SAT and the ACT completely and utterly the same. There really is no test bias, and so the best thing you can do before spending your time studying for the test that that is not best for you, is to determine which test is worthy of your time in preparation and $$ if you are signing up for a course. Let me tell you a secret... studying ALL night EVERY night, will most likely not get you into the school of your dreams. It's possible, but you will more be so hyped up on caffeine and so deep into your coursework that you will have left no time to explore the world, step outside your comfort zone, or even find its boundaries for that matter. So how is it possible for people to still do really well in school and find time to.. you know, have a life? Fill in the blank___life/sleep/relationship/Netflix/studying "hacking" has become a societal phenomenon, everyone wants to find the Holy Grail and find shortcuts to success. While there aren't any quick fixes or elixirs that can be prescribed, and you should run quickly away from anyone who purports to have one, there are a few expert "school hackers" whose advice is well worth a read or listen. Cal Newport, the author of numerous books, and now a computer science professor at Georgetown, is one such school and study methods "hacker." 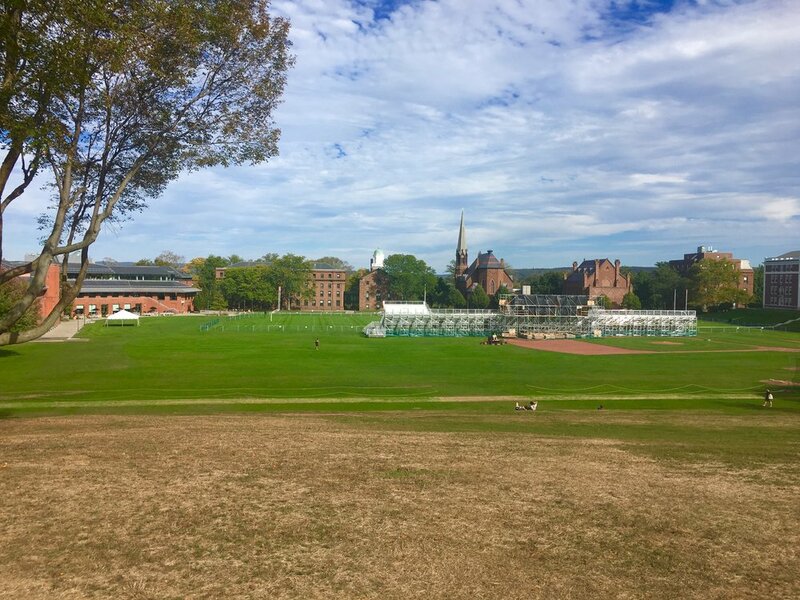 Newport distills down quick and dirty tips of how he succeeded at Dartmouth, and has written a few books targeting high school and college students. The first book I read of his was How to Become a Straight A Student, which is still unsurprisingly a top-seller for him. He advises that accomplishment = study time X intensity. He highly discourages any kind of "studying" which involves passive reading in favor of the more cognitively demanding active recall. However, the impact is profound. He goes into depth of how to better strategize with your studying and get the most bang for your buck with your time. Dig into Newport's blog or purchase one of his books to start learning how to spend your time more effectively and efficiently and get the results you want. This is a nice overview of what a boarding school offers-- beyond the academics, it is a real community. The teachers who choose to work in boarding schools make it a lifestyle where supporting student success is a way of life. It's pretty magical to see the impact. Start your research process early! It will be easier to the hard work of test preparation when you can start to see why getting into the best school is going to be worth it. Visit college campuses virtually and in-person, attend local college fairs and talk to representatives to get a feel for the options that are out there. Spend more time really reflecting on who YOU are and what YOUR interests are. Some students want to rush to immediately look at schools, but this strategy is not as effective as first identifying your own personal preferences, and then matching a school to who you are. Trying to change yourself to fit a school is a losing strategy. Focus on your schoolwork, and keep your grades up. Your GPA and strength of your course selection may be the #1 or #2 area that admissions officers look at. Get familiar with what courses are available to you in the coming years of high school, and make sure you keep your GPA up and take any necessary prerequisites. Colleges heavily weigh that you have challenged yourself given your school’s opportunities, and that you’ve done well in the process.